Over all college is good. Approachable for everyone. 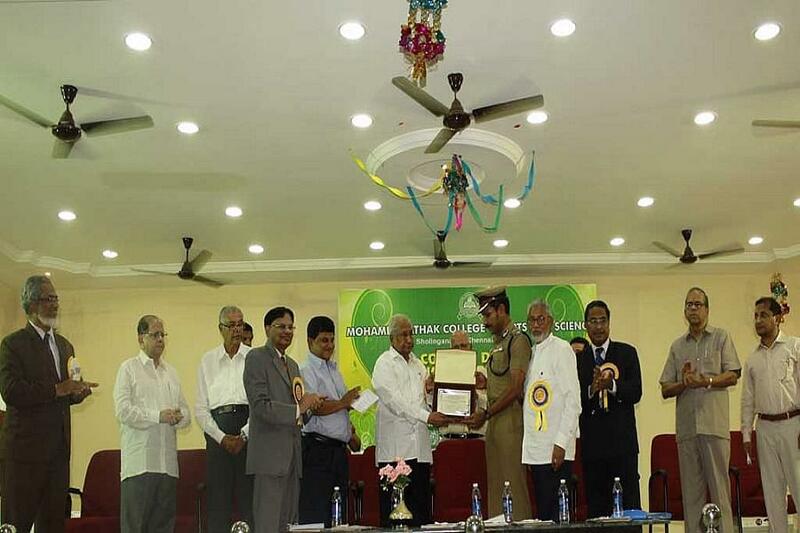 Good certified college by madras university. 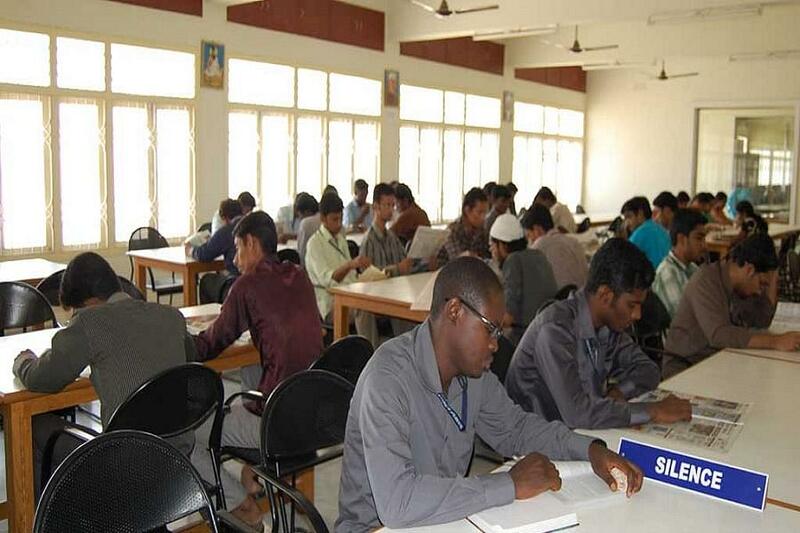 To provide education of a high standard the Mohamed Sathak Trust has established the Mohamed Sathak College of Arts and Science. With a prime aim to serve the society by producing professional with managerial and leadership qualities along with a good curricular knowledge the campus is offering immense training. The management with the help of well experienced and highly qualified teachers is able to train students to face the challenge of the corporate world. Apart from the guidance of experts the college facilitates every student by providing modern facilities which include the well equipped labs, book bank, spacious reading rooms and various other that can comfort everyone. Airport: Chennai Airport is at a distance of 19.8 kms far from the college and one can easily gain access in prepaid taxi. Railway Station: Reaching the campus in a hired vehicle from the Chennai railway station will save time. Bus Stand: One can easily gain access to the campus from the Chennai bus stand as there is a good frequency of buses. 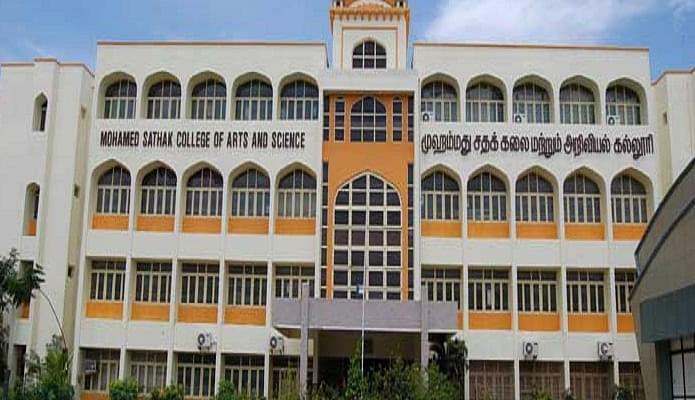 Why to join Mohamed Sathak College of Arts and Science, Chennai? Scholarships: The College always helps needy and encourage students by awarding scholarships and a few certificates of excellence depending on their performance in co-curricular and extra-curricular. Alumni: All the ex-students of the college always attend the functions or any awareness programs that are mostly organized by the college and always share their experiences. Placement cell: The College owes a dedicated cell which functions to offer a better placement to the all eligible students. They train all the students implementing numerous recruitment programs and even arrange a few campus interviews through which students get settled in deserved positions.